While many people are very familiar with limestone, fewer are acquainted with liquid limestone and the many advantages it offers (both indoors and outdoors). It is a mix of crushed limestone and neutral coloured cement. Together they create a pourable compound (as opposed to regular limestone pavers) that is durable, customisable, and beautiful. Our Perth-based customers are extremely pleased with the results of their liquid limestone installation. It is a perfect material for creating decorative concrete work. We have dozens of ready-made patterns which you can choose from to customise the look of your new surface. We also can work with our customers’ drawings to create a unique pattern for your liquid concrete. An individualised pattern adds interest and originality to homes and businesses. The areas where we can install this product are close to limitless. Because we pour the medium, there is no need for concern about cutting, edging, or fitting. Many of our customers appreciate the fact that liquid limestone eliminates grasses and weeds from their garden paths, walkways, and pool surrounds. 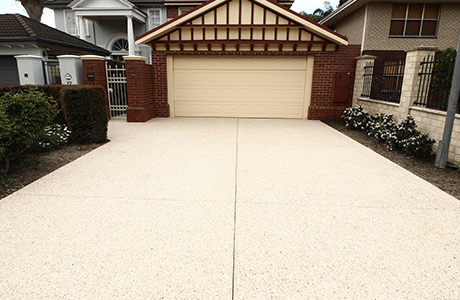 Because liquid limestone is stronger than concrete, it makes an excellent choice for driveways and garages. It gives your property a distinctive look that sets it apart from other properties in the area. Likewise, because it is so easily adapted to all areas, creating curves in pathways or driveways is never a problem. The clean natural look accents gardens, flower beds, and lawns, while still looking very much at home in a more urban setting. Why Does Decorative Concrete WA Recommend This Product? Liquid limestone can create fabulous al fresco areas in places that were previously unusable. You can have the patio or dining area of your dreams, and it will be free of weeds, grasses, and insects. It is cool to the touch so there’s no worries about burning feet while outdoors in the hot Perth summer. Pool surrounds are ideal spots for liquid limestone. It is customisable, so you can be sure your pool area will stand out from the crowd. Another bonus is that it resists slipping making your pool or spa space safe as well as beautiful. In addition to your pool surrounds, we can use this product to cope (or bullnose) the edging of your pool. Having a small overhang gives your pool a stylish and finished look, and it helps swimmers exiting the pool by providing something to grip. Another useful feature of a liquid limestone bullnose is that it helps to keep water on the inside of the pool. This small overhang is quite helpful if there are children in the pool that enjoy splashing. There are so many positive attributes, it is almost impossible to see any drawbacks. Because it reflects the heat from the sun and holds its moisture more than standard concrete, limestone has less chance of expansion and cracking. Therefore the use of standard mesh isn’t needed and there is no chance of mesh rusting through the concrete. 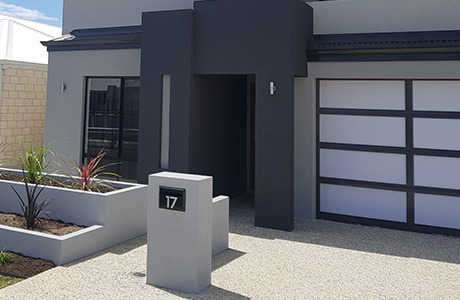 If mesh is required on the project, Decorative Concrete WA can provide galvanised mesh for the job.